As much as I love the Hollywood classic Risky Business, I’m not sure I want to see a remake where former Dragons’ Den star Brett Wilson rocks out in his underwear to Bob Seger’s Old Time Rock and Roll. What’s that? Wilson’s Risky Business is a high-risk, high-reward investment TV show? That sounds more like it. Based on the British series Beat the Bank, Wilson’s latest on-air venture creates opportunities for investors and entrepreneurs alike. An investment-inclined couple is introduced to two opportunities and selects the one they fancy to finance; Wilson backs the other. The two sides then have 30 days to see their prospects flourish or fail. ‘‘With great power comes great responsibility.” The first time I encountered this phrase I was seven years old with my nose buried deep in a Spider Man comic. At the time, I had absolutely no idea what it meant, just that it sounded pretty cool. Indeed, power tends to corrupt and absolute power corrupts absolutely – guess that’s where the responsibility comes in. There are many men tempted and corrupted by the seductive allure of financial conquest and the power it brings. 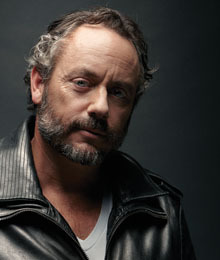 Entrepreneur and television star Brett Wilson once walked this dangerous path, but unlike his ferocious fellow constituents, Wilson has evolved as an individual and become a beloved and big-hearted philanthropist known for his generous exploits and business prowess. 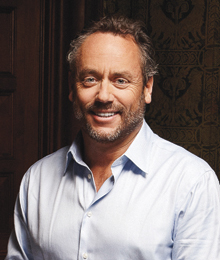 Tags: Brett Wilson, cancer graduate, Dragon's Den, entrepreneur, FirstEnergy Capital Corp., Peter MacKay, philanthropic entrepreneurship, prostate cancer, socially responsible investing, television star, Wilson Mackie & Co.